Ultralight Joe’s Moose Goo – The Best Trail Food? As I continue to prepare for my upcoming section hike I am taking the time evaluate which types of food I want to take with me. Wanting to keep the weight down, and calorie count high I have been exploring the best options. Through the power of the Appalachian Trail Reddit group I have found a great spreadsheet that list calories and protein per gram for some popular trail foods. One item that it left out that I have read a lot about is Ultralight Joe’s Moose Goo. Having read so much about how great it is and that it meets my two goals of high calorie and light weight I decided to try and make a batch myself. 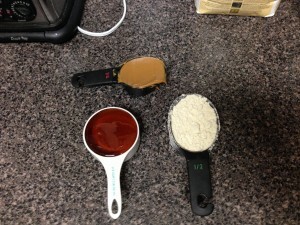 So I set to make my first batch using 1/2 a cup of corn flour and honey and 1/4 cup of peanut butter. 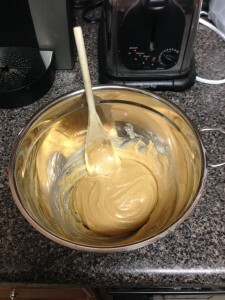 I combined all of the ingredients and started the mixing process. This step is harder then it seems, but after adding some elbow grease to the ingredient list I was able to get it all blended together. How was it you ask, pretty good. It is really think and very packed with protein and calories. 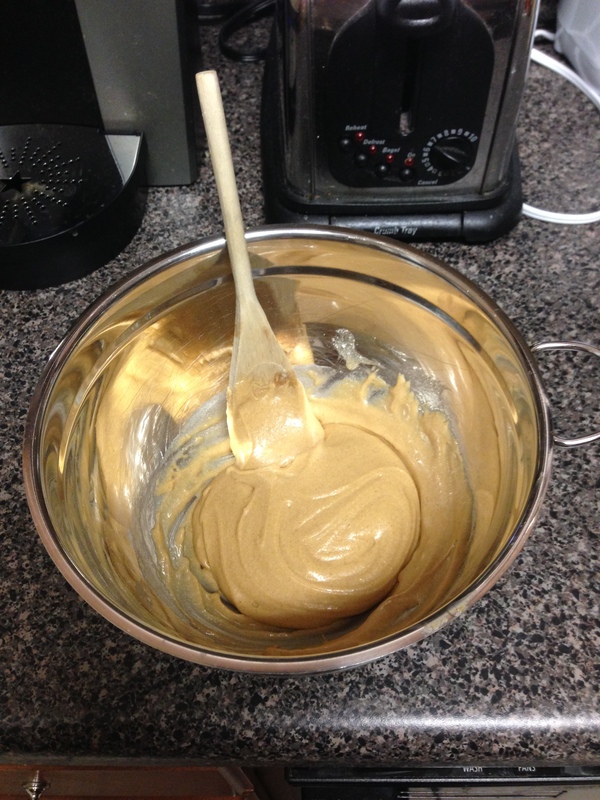 As a matter of fact, there are over 1320 calories, 172g of carbs, 38g of fat, and 24g of protein in this batch. You store the goo in a ziploc bag, wax paper, or a coghlan tube and it will last 3 lunches spread across large tortillas (or more if you use medium tortillas). I think I have found a winner for my lightweight and high calorie item for lunch. Have you tried Ultralight Joe’s Moose Goo? If so, did you like it? Did you add any variations to the recipe? I wonder if using PB2 would lower the fat content significantly? 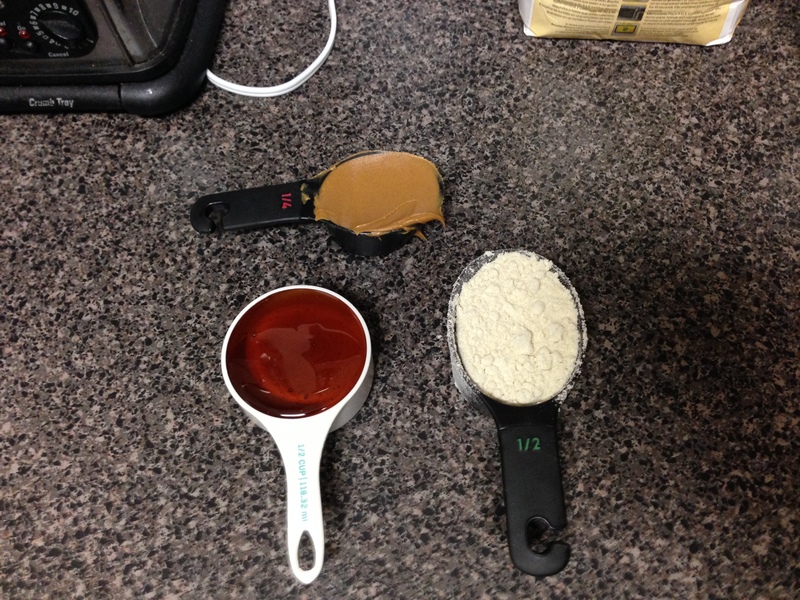 I know that if you heat the Peanut Butter and Honey to make it thinner, its easier to add in dry ingrediants. Hey, I made Moose Goo a long time ago. I put it in the tubes and squeezed it out onto tortillas. Worked really well. Now I have to watch my carb intake, prediabetic, so I’m thinking about adding protein powder.